Oakley Standard Issue (SI), a division of Oakley, introduced the Oakley SI Tombstone eyeshield at the SHOT Show, where shooters attending the range day were able to try it out. Developed for the needs of competitive shooters, the eyeshield combines years of development with the Military and advanced optical engineering to solve the shortcomings of traditional shooting glasses. 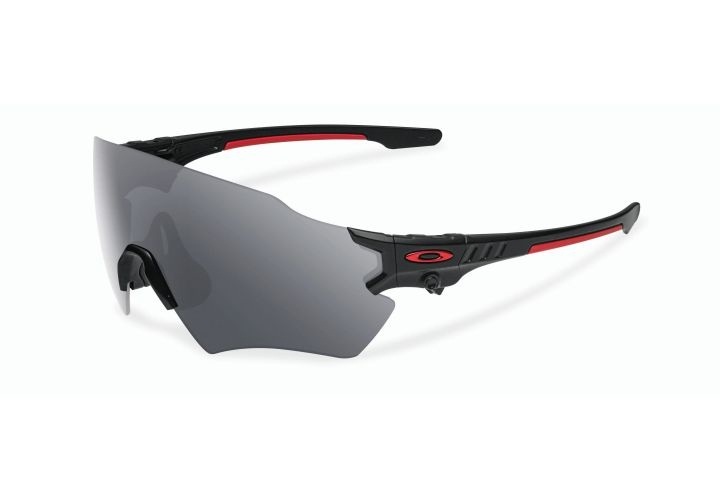 The Oakley SI Tombstone eyeshield provides a wider, unobstructed field of view, rapid lens exchange, and Oakley’s Prizm lens tint technology to help shooters increase contrasts between targets and surrounding environments. Extensive research was conducted using a 60Hz eye tracking system designed by Sensomotoric Instruments Inc. (SMI). The eye tracker precisely gauges and records eye position and movement in real time scenarios and was developed with more than 100,000 test participants. The data captured allowed Oakley to see that the upper periphery of the lens is critical in providing the visual field shooters need for performance and safety. The Tombstone eyeshield maximizes the lens zone for an expanded field of view. Tombstone expands the zone to a full 120-degree view. It utilizes breakthroughs in Oakley frame design, as well as the patented technologies of High Definition Optics to ensure razor-sharp clarity at every angle of vision.